Probably my favourite story of Grisham's, with lots of interesting twists and turns, a great verdict (of course) and a nice little romance on the side (I'm always a sucker for a romance). Oddly though, despite being narrated in the first person, you don't get a great sense of who the main character is. A charming account of Tracey Thorn and Everything But The Girl's unusual journey through pop music in the last thirty years. You get some sense of the oddity of being a pop star. I've come away from this and her other book, Naked At The Albert Hall, with a real respect for her and a wish to revisit some of their music. A really cool novel about hacking, security, encryption and the state. A bit lecturing at times, reflecting its target audience of "young adults" (teens, I suppose) and a clear attempt to make them care enough about the subject to get involved. I don't know if it's worked or been successful, but certainly I'd be keen for B to read it, and the others when they're old enough. It's also a good story (although the ending is a bit sudden and a tad inconclusive) and kept me reading (on my phone, since, interestingly, it's released under the Creative Commons license). A fun, if somewhat unbelievable thriller. When I first read this - probably 15 or more years ago - I thought it was very good, but now I'm not so sure. Nicholson Baker's ability to pick up on usually unobserved but common mannerisms, items and phenomena is still here in abundance but the subject matter - a man who can stop time and uses it to undress women for his own amusement - gives me a queasy feeling. His writing is superb and the more pornographic sections quite amusing, but maybe now I am more sensitive to the issues it raises. I'm cheating a bit by including this in my list of books I've read, since I got less than a quarter of the way through before giving up, but I'd had enough (and the only reason I got that far was that I had nothing else to read during a train journey). A potentially very interesting history of music publishing is ruined by numbingly boring detail and the author's insistence on strict chronological sequence. Normally I prefer a history that starts at the beginning and doesn't jump around, but in this case I, like (I would bet) most people, would be primarily interested in the facts about publishing cases I know about; maybe the Northern Songs saga, or the fuss around "Bitter Sweet Symphony". Since the first half of the book barely takes us out of the fifties, there's a lot of tedious trivia about people even I have never heard of to wade through first. There's an interesting book to be written about the subject, but this isn't it. Neil Gaiman says that Terry Pratchett's fury at the unfairness of the world "[...] was the engine that powered Discworld." That anger is very evident in the first half of this book, which is as unvarnished a parallel as any I've seen in his books - in this case, of blinkered, inward looking, religious fundamentalists of all types. The rest of the book plays out in typical Discworld fashion, centering on Samuel Vimes this time, with cameos from Captain Carrot and Sergeant Angua, two of my favourite characters (from Men At Arms). I really enjoyed this book and learned a lot, but don't feel it lives up to its own billing. The book jacket's intruiging strapline - "What happens when an entire generation commits the same crime?" - tempted me in but really, there's no further exploration of this. Although, to be fair, we know the answer: the music business goes into freefall. I guess the question I was interested in was the "why". We don't really get that either. What we do get is the stories of three, largely unconnected, people: Karlheinz Brandenburg, the "inventor" of MP3 technology; Dell Glover, a music pirate; and Doug Morris, CEO of Universal Music. In telling their histories, Witt explains the initial technical catalyst for pirating, the reason why one person got involved, and the industry's response. However, when it comes to a sociological phenomenon like the mass pirating of music that occurred in the early 2000s, then just looking at one or two individual stories is almost inevitably going to miss the point. 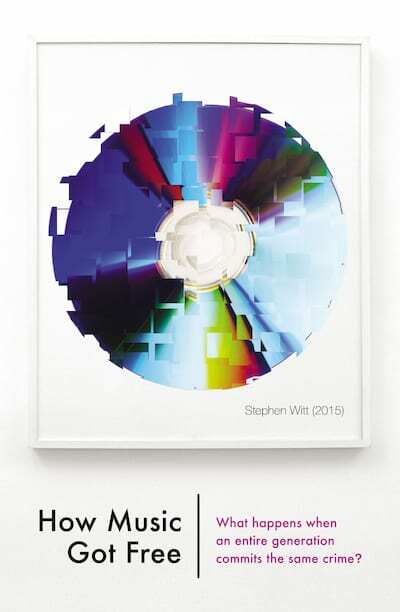 It marked a complete shift in the public's experience and expectation of music consumption and so was fuelled by numerous factors - millions of individual stories, if you will - that cannot be easily condensed into those of three people. Still, as I said - an enjoyable book, well-paced and interesting. Worth reading. I wasn't quite sure what to make of this month's backing track. It is quite sparse and would probably lend itself to a number of different styles. It didn't help that I wasn't really feeling very inspired generally, and unfortunately this track didn't inspire me either. I tried a number of different options and ended up with a main theme that used some wide intervals for interest. The tone was a general purpose driven tone with a delay on it from the Carbon Copy, synced as best I could with the beat. I had to stitch together a couple of takes to get it right, which was annoying as it wasn't actually that difficult, but oddly the one glitch you can hear (at about 0:37) was due to me making a very slight mistake on fretting a note! At 0:46 I switched to the bridge pickup to vary the sound somewhat. 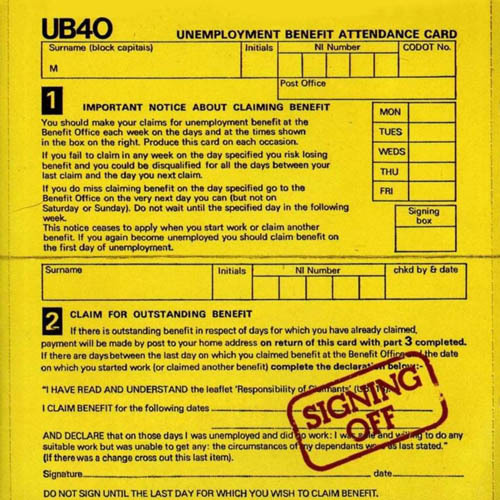 Although the lasting impression in my mind of UB40 is of the reggae-lite colossus that gave us easy listening classics such as "Red Red Wine", I vaguely knew that they had once been good. Nevertheless I am very pleasantly surprised at just how good. Signing Off is superb. The songs are excellent, with great tunes and meaningful, politically engaged lyrics. The music is authentically dub (at least to my ears) and doesn't sound dated at all, and there's a good variety of tracks. I knew "Food For Thought" as it was one of the songs I would have recorded off the Top 40 countdowns, and I've always loved the saxophone riff and moody, minor key melody. However, my new favourite song is "King", particularly the harmonies. "Burden Of Shame" is an anguished rail against the iniquities of society. 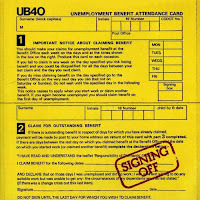 "Signing Off" is a funky echo laden instrumental. There isn't a poor track on the album and if it isn't an all-time classic (in my view at least), it's certainly a great album to listen to. The albums in the eighties list fall broadly into two categories: those that are important because of their impact at the time and those that are timeless classics. Needless to say, the latter category has fewer albums in it. 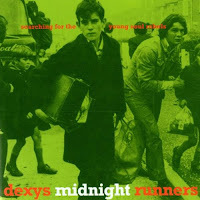 Searching For The Young Soul Rebels is one of them. It is often cited as one of the best debut albums ever, but this does it something of a disservice, since you could take the word "debut" out of that statement and it would still be correct. It's certainly one of my favourites - in my top ten, in fact - and has been for some time, but oddly I can't remember when I first came across it. All I know is that although I loved the single "Geno" at the time, I didn't get the album until I was buying CDs, probably over ten years later. Why do I love it? It's the horns. For all the column inches written about the genius and vision of Kevin Rowland - and don't get me wrong, he's great here - the unsung heroes of this wonderful album are the horn section, and in particular, whoever did the arrangements. The way they harmonize with each other, punctuate the vocals and punch up the emotion is inspirational and uplifting, even on the slowest of tracks, and on the wonderful instrumental "The Teams That Meet In Caffs" it's all brass goodness. Other horny gems include the slow-burning "I'm Just Looking" or "I Couldn't Help It If I Tried", "Geno" (of course) ... well, pretty much the whole album. The tracks come with serious messages I believe (Rowland doesn't come across as a man with much of a sense of humour, however much he claims otherwise) but it passes me by, as ever. But Rowland's odd yelping delivery is strangely compelling and his commitment is legendarily indisputable. Overall, the ingredients add up to a completely unique album that truly counts as classic.